We offer full service snow removal in Cheyenne, including: snow plowing, salt and sand spreading, snow hauling (skidster and dump truck), ice management, snow blowing, and snow shoveling. 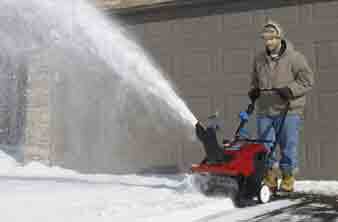 EnvisiaCare provides industrial, commercial, and residential snow removal. 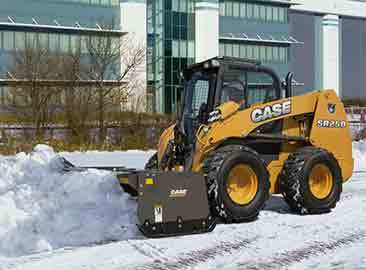 When it comes to snow removal, having the right people, equipment, and experience is essential. We understand the importance of good access to your business, available parking, and safe walkways for employees and clients alike. That's why we show up on time, every time. Whether snow needs to be removed by 2 a.m., 5 a.m., or 8 a.m., or anytime in-between, you can count on us to get it done. Our crews operate around the clock to provide snow plowing and snow removal at businesses, apartment complexes and rentals, homes, vacant and vacation homes, and more. 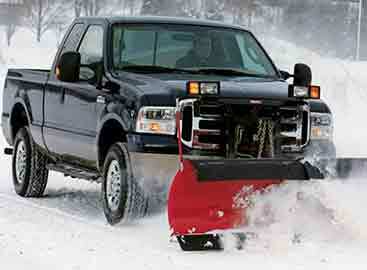 For a majority of clients we plow or remove snow when there is 2" accumulation or more. If the snow is continual we will return when there is another 2" of snow fallen. 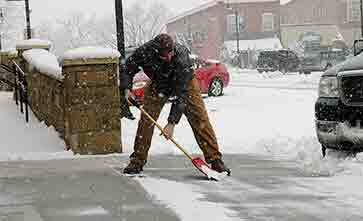 For many businesses, high traffic areas, medical centers, and some homes, we remove snow at 1" accumulation upon request. Generally we require arrangements or agreements to be made prior to the arrival of a snow storm, and do not provide on-call services. Whatever the season, we're the company to call for your outdoor maintenance service.